Don’t turn a blind eye to loose shingle granules on the roof or in your gutters. When you spot this problem, the best thing to do is to call trustworthy roofing contractors to assess the damage. This is because it may seem harmless and doesn’t pose much of threat, but it takes a lot of force to loosen the granules from your shingles. This only means there’s something wrong with your roofing system or something might have happened to it. Quality Home Exteriors explains more. There are several reasons granule loss happens: newly replaced asphalt roofing, blistering shingles deterioration due to old age, mechanical damage, hail storms, defective roofing products, improper storage and manual damage from walking on the asphalt roof. The roof isn’t strong enough to face all theseat once. The only preventive measure you can take is to maintain it regularly, coupled with timely consultation from your trusted roofing contractors. While you certainly can’t inhale loose granules and they’re non-toxic, loose granules still pose a hazard to your family. 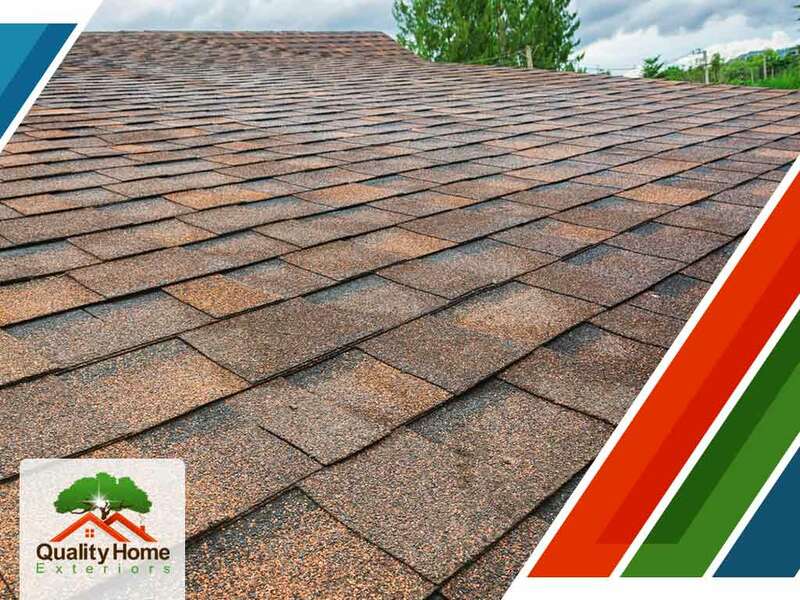 This is mostly because worn-out shingles aren’t as effective when it comes to protecting your home from the elements, which means they allow water infiltration and make the roof slightly lighter, allowing the shingles to be blown off much more easily. You wouldn’t want to deal with those costly repairs when major damage occurs. That is why prevention by getting a proper inspection is key to keeping your roofing structure safe and damage-free. Count on Quality Home Exteriors, one of the leading roofing companies in the area, to handle your roof replacement and maintenance. We believe every home deserves quality roofing products and exceptional service, which is what we bring to every project. Call us now at (402) 401-4505 or fill out our contact form to schedule a visit from our experts. We serve homeowners in Nebraska, and residents of Des Moines, Iowa.